You can check out all photos available from Susquehanna Region SCCA autocross, rallycross, karting and banquet events throughout this website, but if you’d like to view them all in one place, feel free to check out all of our photos (by year) on our Flickr site. In the late nineteen fifties, a group of active road racing enthusiasts from south-central Pennsylvania began an effort to establish a new SCCA region in the area. Most of the members of that group already belonged to the SCCA and many were also members of either the Appalachian Sports Car Club, located in Harrisburg or the Susquehanna Sports Car Club, located in Lancaster. Some were members of both local clubs. The members of the group that belonged to the local clubs began actively promoting the conversion of those clubs into a region of the SCCA. When it became apparent that there was not sufficient interest among the members of those clubs to make the change, the group promoting the change decided to take the steps necessary to form an SCCA Region independent of the existing clubs. On May 1, 1959, a Provisional Charter was granted to the new Susquehanna Region by a letter to H. B. Williamson who would become the Region’s first Regional Executive. On June 29, 1959, the new Susquehanna Region of the SCCA was incorporated and on August 4, 1959, the Region received charter status. The new Susquehanna Region was made up of counties ceded to it by the Northeast Pennsylvania Region and the Philadelphia Region. The Northeast Pennsylvania Region gave up Northumberland, Snyder, and Union counties and the Philadelphia Region gave up Lancaster, Dauphin, Juniata, Cumberland, Perry, York, Adams, Franklin, and Fulton counties. The membership of the new region grew slowly. It operated only a limited number of events over its initial years. While sports car activity in the area grew dramatically during the period, much of that growth was experienced by an array of local clubs. The Region did not share in that growth. The Region conducted some of its own events and some of its events were conducted in partnership with local clubs. The number and size of local clubs grew but the Region did not. 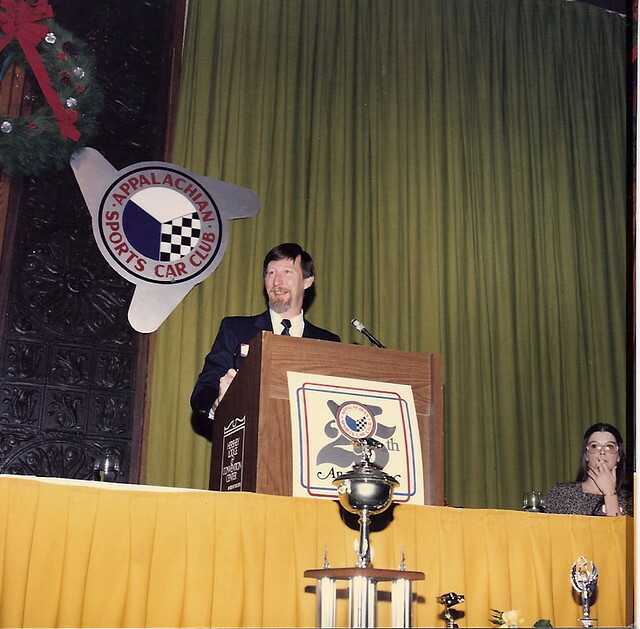 The idea of incorporating the two local clubs into the Susquehanna Region was again considered when in November of 1977 the SCCA National Board of Governors established guidelines for the formation of SCCA affiliated Chapter Clubs. The concept of becoming a Chapter Club of the Susquehanna Region attracted the interest of some of the members of the two local clubs and caused periodic, heated debates at club meetings, but no action was taken. Then interest changed when the local clubs were confronted by a serious economic reality. Just a month before the Appalachian Sports Car Club’s scheduled 1978 spring Goldmine Hill Climb, the club was notified that its insurer would no longer cover hill climb competition events. This was not entirely unexpected, as indications had been received earlier that this problem might soon arise. The previous year, a hill climb competitor had struck a concession stand at a nearby Region’s event with losses for the insurer. Since the ASCC had been working with the Susquehanna Region on combined events for some time, the Region agreed to co-sanction the Goldmine Hill Climb with the ASCC and provide the needed insurance coverage for the event. Not long after that, both the ASCC and the SSCC became Chapter Clubs of the Susquehanna Region. 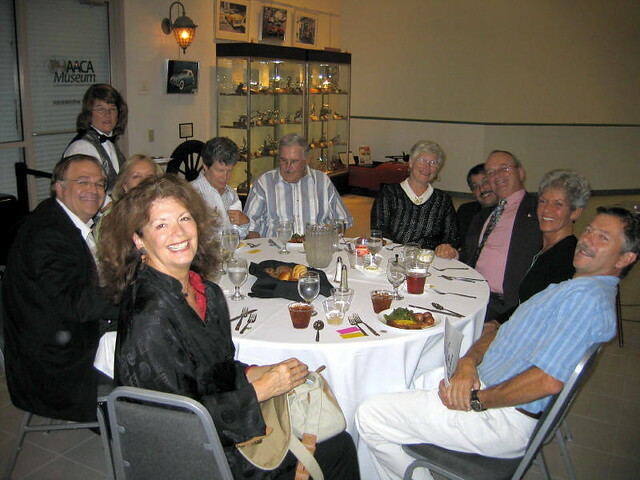 In the early 1980’s, the Sports Car Club of York and the Franklin County Sports Car Club also became Chapter Clubs. The Franklin County Sports Car Club subsequently became inactive in 1987 and the Sports Car Club of York became inactive in 1993. In 2011, ASCC’s Board of Directors recognized that the character of their club was changing. Membership had been declining and interest was apparently waning. At only one meeting in 2011 did they have the 20 members attending that were required to constitute the quorum necessary for the purpose of transacting business. In January of 2012 the financial and tangible assets of the ASCC were transferred to the Susquehanna Region of the Sports Car Club of America. ASCC would remain a Chapter club of the Region and the members of ASCC would continue to remain members of the essentially inactive ASCC at no cost. In 2015 the SSCC also faded and no longer functioned as an active organization. You can download a PDF of the ASCC 25th Anniversary Booklet and 50th Anniversary Banquet program & history. View some photos from both banquets below.